Sunday was April 1, and that means it was April Fools Day. I joked early in the morning on my Twitter that I wasn’t going to go on social media much because I knew there would be too much fake news going around. Specifically, I had a feeling that fans (and even media) would joke around about UFC 223’s title fight between Khabib Nurmagomedov and Tony Ferguson getting canceled once again. And I remained true to my word, not logging onto Twitter until later in the evening. Imagine my surprise when I finally logged in and heard the bad news. 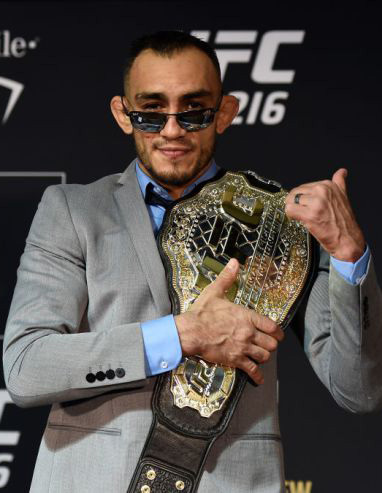 In what was a completely shocking turn of events that of course happened on the one day of the year where no one would believe it, UFC President Dana White revealed that Ferguson was injured and out of the fight against Nurmagomedov, and that UFC Featherweight Champion Max Holloway would be stepping up on a few days' notice to fight Nurmagomedov for the lightweight title. Most fans assumed this was just a joke, but it wasn't. The fight between Nurmagomedov and Ferguson was officially cancelled for the fourth time, and according to White, the UFC isn't booking this fight for a fifth time. With Ferguson tearing up his knee after allegedly tripping on a wire during a media interview, and with him likely being out for a long time, there's a good chance MMA fans never get to see this fight, which was one of the most-anticipated matchups in 2018...and 2017, and 2016, and 2015. A few days ago here at MMARatings.net, I wrote an article pleading for the MMA Gods to not touch this fight, one that fight fans have literally been waiting for years to watch. It looks like I shouldn't have poked the MMA Gods, as they cancelled the fight a few days later. Sure, some might think it's silly to write an article talking about these so-called Gods, but I've been around this sport enough years to know that the MMA Gods are real, and they aren't to be messed with. 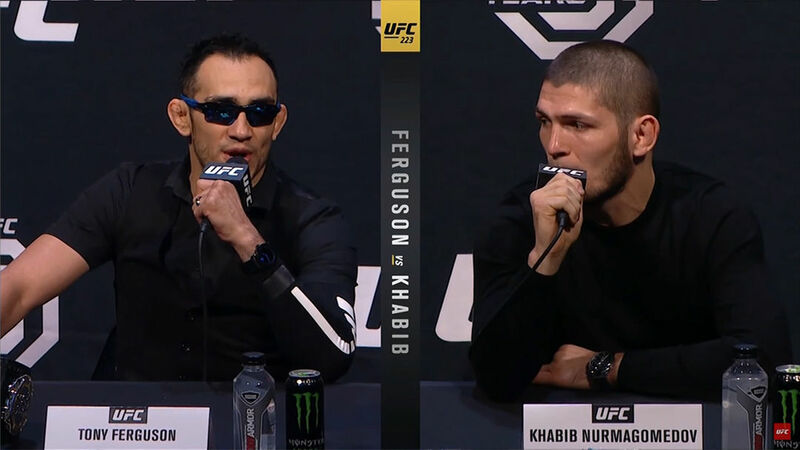 They exist, they don't want to let us have nice things, and we've seen that once again by the fourth cancellation of Nurmagomedov vs. Ferguson, a fight that I was was really looking forward to watching. If it wasn't bad enough that Nurmagomedov vs. Ferguson was canceled, on Monday late in the day MMAFighting.com broke some more bad news. 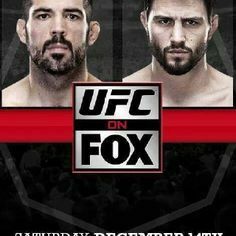 The welterweight bout set for next weekend's UFC on FOX 29 card between Carlos Condit and Matt Brown is canceled due to Brown tearing his ACL. That's another fight that fans have been waiting a long time to see, as it was originally set to go down a few years back. The fight between two of the most violent strikers in the welterweight division was going to be a joy to watch. Now it's another dream fight that the MMA Gods have robbed from us in the last 48 hours, and that's no fun. I'm not sure why the MMA Gods won't let us have nice things, but for whatever reason they have been upset in recent days and broke up two of the most highly-anticipated fights on the upcoming MMA calendar. I used to laugh at the notion of these so-called Gods dictating what happens in this sport, but how can I laugh at them anymore? I tempted fate by writing that article begging them not to do this, and of course they went out and did it, canceling Nurmagomedov vs. Ferguson. 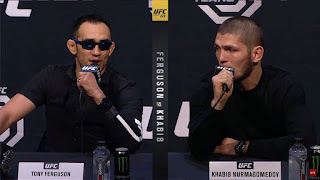 The good news is that Holloway vs. Nurmagomedov should be awesome, but the fact that we may never see Nurmagomedov vs. Ferguson is a bitter pill to swallow.